Established in 1999, our small and dedicated team aim to provide you with exceptional laundry services. Whatever your requirements, Wash Angel are dedicated to providing you with a professional service. We offer a wide range of services to meet all your needs, for our prices please see our prices page. For more information on our services please do not hesitate to get in touch with us. Wash Angel - The professional dry-cleaning, laundry and ironing service established in 1999. We process all of our dry-cleaning garments on-site and we offer a SAME-DAY SERVICE for NO EXTRA CHARGE. All of our staff are all fully trained Master Dry-Cleaners hence all of your clothes are professional dry-cleaned and beautifully hand-finished. Owner Martin Goodman has spent over 30 years teaching the art of dry-cleaning and laundry throughout the world and is still employed by Carnival and P&O cruises to teach on their vast fleet of ships. Wash Angel’s dry-cleaning service combines craftsmanship with the most advanced and environmentally friendly techniques in fabric care. Every garment piece goes through our seven stage cleaning management process starting with an initial evaluation of the fabric and ending with a final individual inspection. We pride ourselves on our service excellence, discretion and meticulous care for each customer's individual requirements. We are also one of the few dry-cleaners to process specialist items on site such as wedding dresses and bridal wear, beads and sequinned dress-wear and leather and suede's garments. We dry-clean curtains and upholstery and rugs of all shapes and sizes and recently we have introduced an UGG boot cleaning service. Our friendly and highly committed team have worked together for many years gaining valuable experience and always aiming to provide all our customers with a reliable, professional friendly service. We take a real pride in our fantastic local reputation, which has been built on repeat custom and personal recommendations. Just for your added peace of mind we are proud members of The National Association of the Launderette Industry and also The Guild of Cleaners & Launderers. 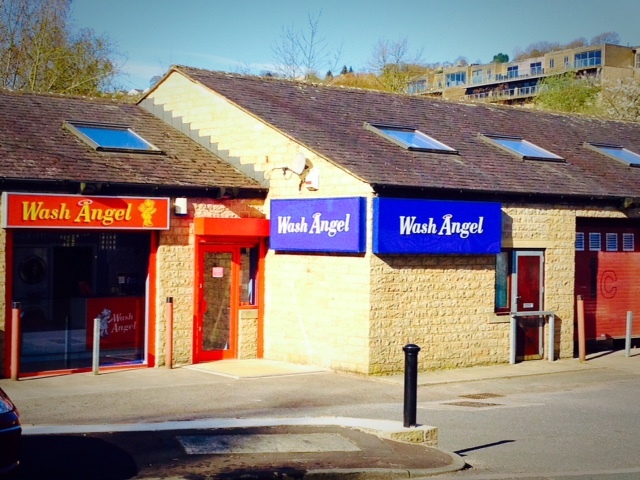 Why Choose Wash Angel Ripponden? For more information about our dry cleaning, ironing and laundry services in Ripponden near Halifax 822 822. We look forward to taking care of all your laundry needs in the Ripponden area.